With 2,000 professionals already registered for PLASA Focus: 2012, organisers PLASA Events are attributing this year’s record breaking pre-show figures to the number of new products on show and the raft of first-time exhibitors heading to the north of England. 20 new exhibitors will be joining 130 exhibitors across two sold out halls, where a number of new products will be available to view in the UK for the first time, including many products launched to international audiences at the Prolight+Sound 2012 show in Frankfurt last week. 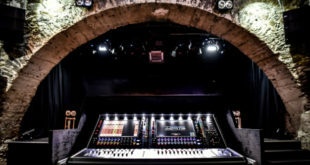 These include Yamaha’s brand new three-model CL Series digital consoles, MC2 Audio’s new S Series studio amplifiers shown by POLARaudio and the XS Wireless System from Sennheiser. Events manager Sophie Atkinson, commented: "We couldn’t be happier with the level of support this year, both from the exhibitors, who love coming to the North West to meet people they don’t get to meet anywhere else, and from the visitors, who come to check out the free seminars, get a first look at some new products, and meet the people behind them. 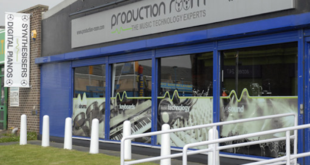 It’s a fun two days so everybody here at PLASA is looking forward to it as well." Visitors can register for their free visitor badge, find out more about the Professional Development Programme, and book their seats on the show website www.plasafocus.com.